There are plenty of ways to shop online and get cash back for it. 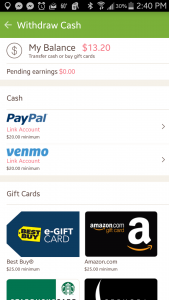 For example, eBates or SwagBucks both have great shopping programs and reward you for shopping at regular online stores like Amazon, Best Buy, etc. What about local places like Target or Wal-Mart? Leaving the house, getting groceries… That’s where Ibotta comes in! You can pick out your shopping list before you go, or just look through and find your purchases when you get home. I do it the second way, but you’ll earn more money the first way. 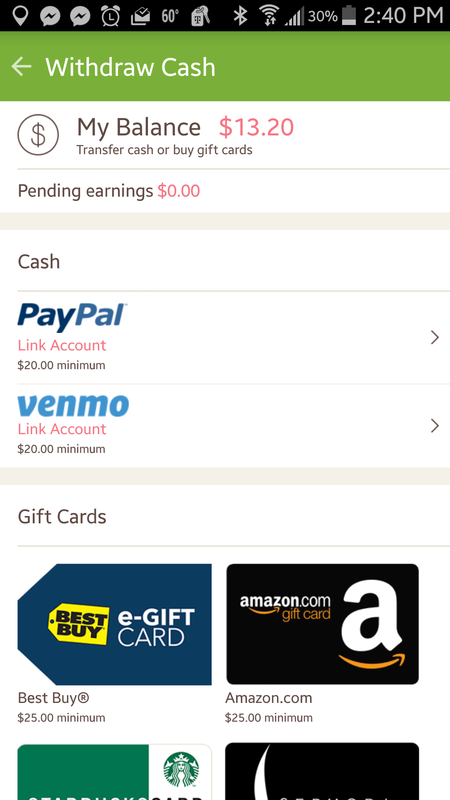 As you can see you can cash out several ways: PayPal, Amazon, Starbucks, and more. Previous Previous post: Looking for a free ride? Next Next post: Get paid to… receive text messages?